Do it faster, do it better and do more of it. It sounds like the mantra of any business of the modern age, but this statement certainly rings true for British manufacturers. Sectors such as aerospace, automotive and medical are characterised by the production of evermore complex parts, where tolerances are tighter and compromises on form, function and safety simply cannot be made. Such demands have ramped up the scale of the challenge facing firms like ONTIC, a BBA Aviation company and leading global provider of OEM-pedigree parts, MRO services and serviceable parts for legacy aerospace platforms. Distributed to some 3,000 customers worldwide, its portfolio of 4,500 products and 100,000 component parts include many no longer supported by the OEM, all of which must be brought up to date to meet the exacting standards required by the end user. David Lawrence, a Receiving Inspector based at ONTIC’s Cheltenham site, said: “We pick up products that larger OEMs don’t want to support going forward. For example, we acquired old products from GE that are used in Boeings. “We might have taken lifetime buys of components as people are going out of business and then we use them moving forward. “In modern aerospace the targets have changed massively and we must pull inspection up to modern standards. To help it meet such stringent requirements and satisfy the ever-increasing expectations of its customers, ONTIC turned to OGP UK – a specialist in non-contact and multi-sensor metrology. OGP’s range of SmartScope systems use a combination of field-leading optical, laser and tactile sensors working seamlessly together in one routine, performing any measurement task with uncompromising accuracy. Parts that previously required multiple measurement systems and gauges, or expensive bespoke gauging, can now be measured on a single standard reprogrammable system in real time, leading to better quality, reduced scrap and increased throughput. ONTIC opted for the OGP CNC Flash 200, a powerful benchtop machine for use on the production floor and built to withstand the most hostile environments. Ideal for automatic dimensional measurement processes, in features include a high-quality auto-calibrating zoom lens alongside illumination sources, a colour camera and a choice of advanced software packages. 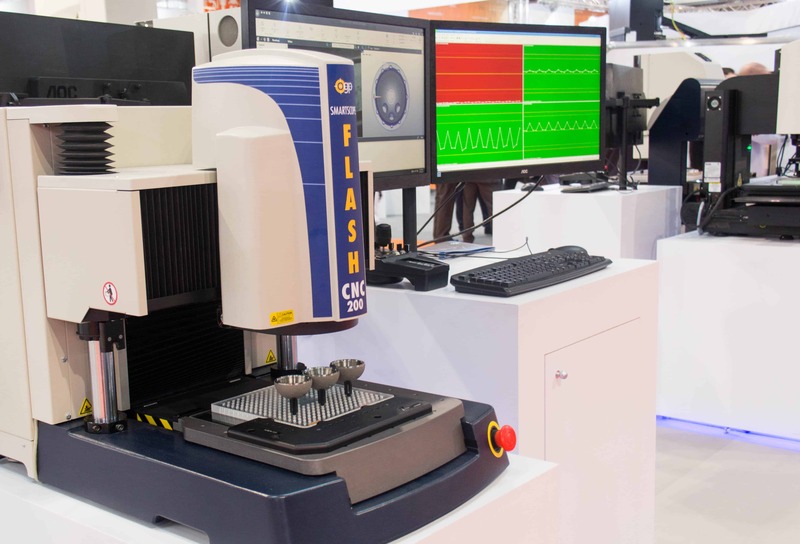 The CNC 200’s innovative design means it is capable of supporting a combination of touch probes, micro probes and laser scanners, offering quality control that is fast, precise, automatic and reliable. David Bedford, Quality Manager at ONTIC, said; “We have got to be focused on accuracy, throughput and confidence, but also ease of use for the guys to be able to get the programme run, get the parts through and off to the shelf, because the pace of the business is such that it doesn’t stand still for very long. “New products come and others fall off the radar, and if we’re not careful we end up with a backlog waiting to prove if something’s right or wrong. “The timeframe on turnaround from customers means they don’t want to be sat around waiting for us to say that their parts are correct. Mr Lawrence added: “One of the new licences we’ve taken on is for very small parts and flat parts, so the Flash is ideal for that. Want to see how you can measure parts without limations?